For starters, Merry Christmas, Happy New Year and all that stuff. But I'm back! With a Shark Hat. That is me, wearing my half completed Shark Hat. 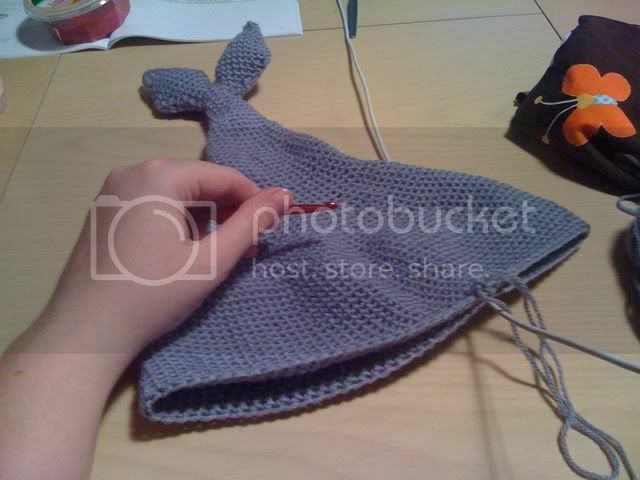 At the moment its just tail and body/hat but I'm finished that part and now just have to make the fins! 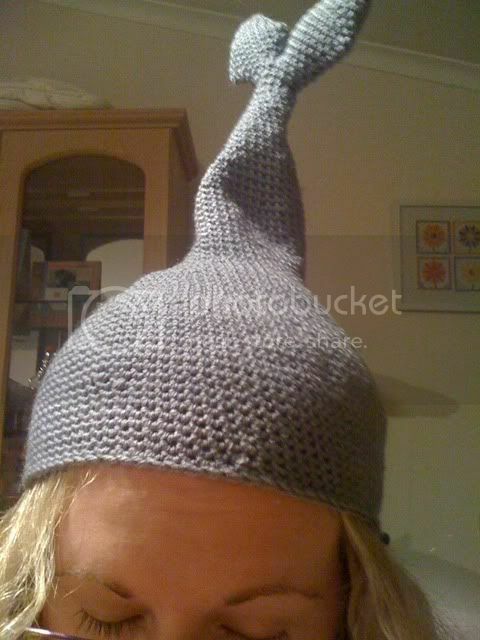 I based it on this pattern but that hat is for a kid, and I wanted it to fit an adult.. or rather, me. So I made it up as I went along, and could never ever write a pattern for it because it was mostly 'oh, lets increase here, and a couple more times in the next couple of minutes" which might have been spaced over three rows, or just one, I'd never know.